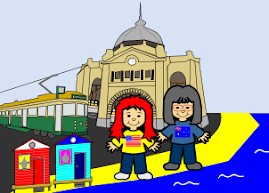 Week 20 adventure with the Zing/make the cut/ **inkscape. Well this sure has opened up a whole new world in papercraft. One of which is designing fonts again , which by the way I will have another set of fonts to share shortly just need a bit of tweaking. Also finding easier ways to make backgrounds for my cards ,some I am showing today with this set of cards. Designed in inkscape and Make the cut combined and cut using the zing. then two stamps (big and small) are from alota rubber stamps. Now I find myself using the zing on a daily base. I have decided to leave the weekly adventure reports and just continue to show my Zing creations as i make them all week long (as well as other things not made on the Zing). Please come back often and see what i have been up too and got to share with you all (there will be lots more to come) . P.S. Let me know what you think from time to time I love to hear from you too . I am off to cough explore some more.